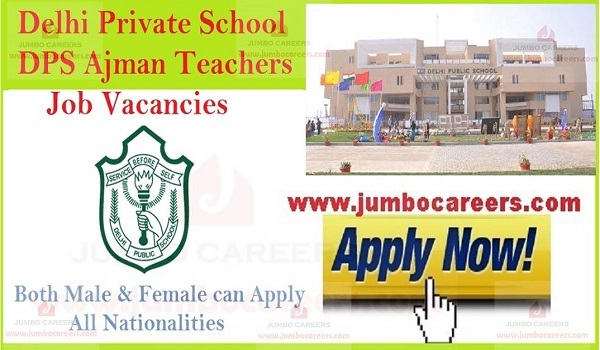 Leading Indian private CBSE school in UAE Delhi Public School (DPS) Ajman hiring Teachers for 2019. Its a free and direct recruitment by the school. Location : Delhi Private School, Sheikh Ammar Bin Humaid Street, Near Saudi German Hospital, Al Tallah 2, Ajman. Must Bring : CV, Educational Certificates & Experience Letter.